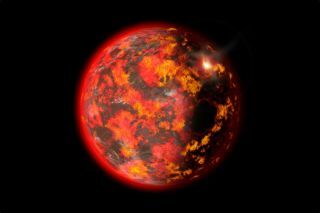 The early Earth was an infernal place: hot, roiling, rapidly rotating and bombarded by space debris, including a Mars-size body whose impact created the moon. That same impact also turned the entire surface of the newly formed Earth into a molten magma ocean. Now, new research finds that the rapid spin of the planet may have influenced how this molten sea cooled.